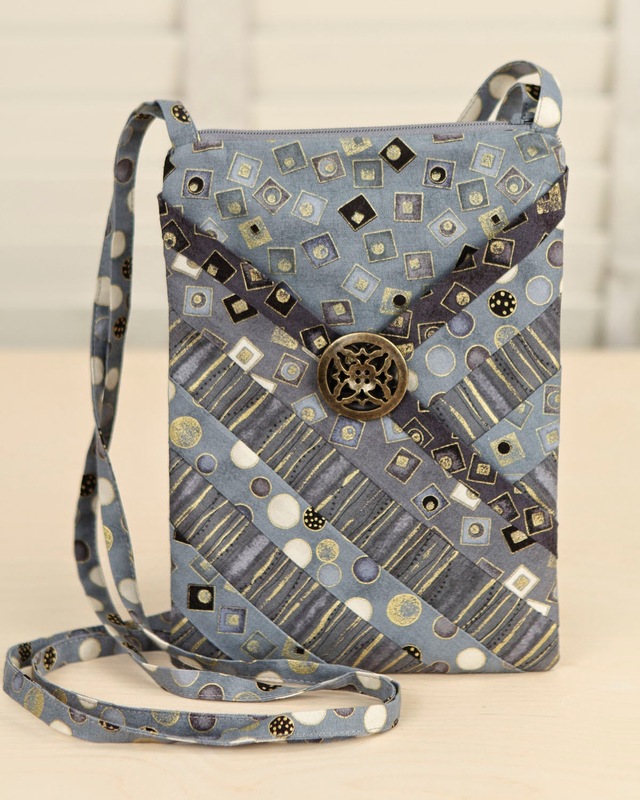 Artsy Purse is one of my favorite things to make. They make fast -- even if you are doing the strip pieced version with metallic thread embellishments. And I love sewing with metallic threads -- have I mentioned it is addictive! I guess it is somewhat the 'bling' effect that hooks me! Free motion metallic threads on plain front pocket panels. There are two straps, each about 40" long or the width of the fabric. Every technique in the purse is easy, easy. Lined but no pockets. 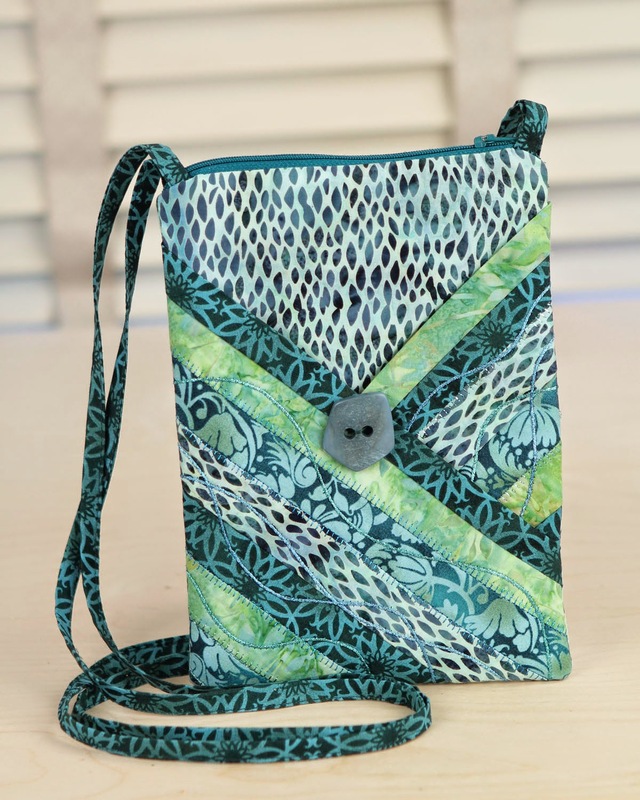 The whole purse is 7" wide by 10" deep so you hardly need a pocket. You could put one in if you want -- wouldn't be that hard!! 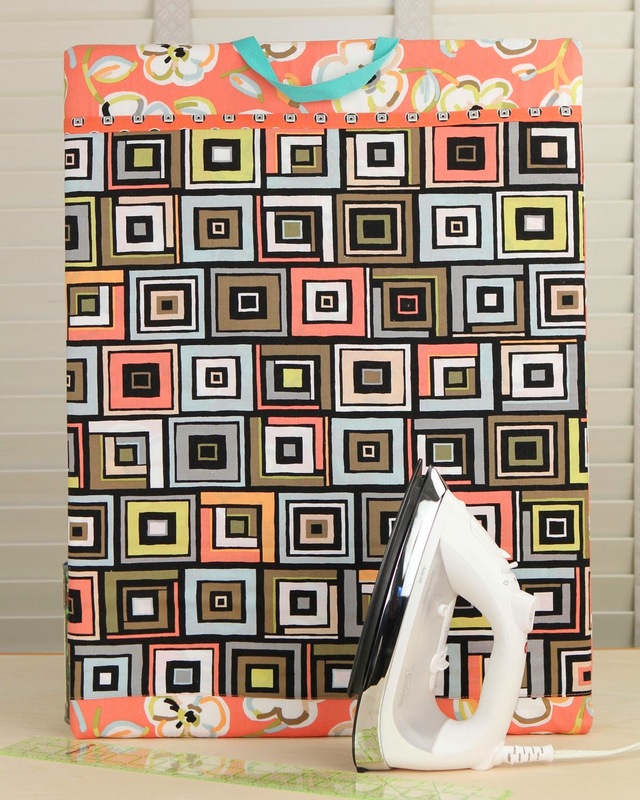 I also use polyester fusible interfacing - love the way it drapes inside a project. Our Market guests loved the idea that you can carry your grid ruler protected in a pressing board. It is a really great combination. 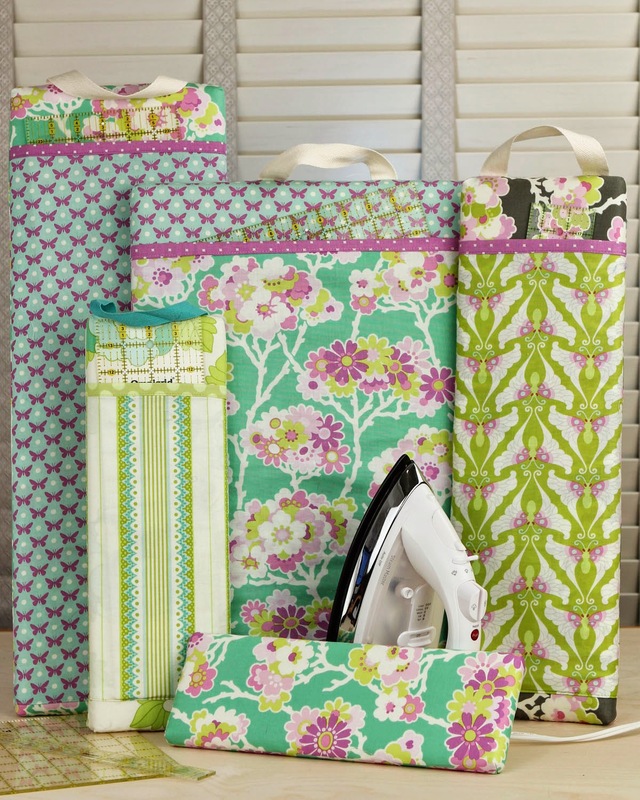 This is a great collection in Heather Bailey fabric! Cute sewing fabric looks good too! This is our largest one -- 18" x 24". Gift Mixes! 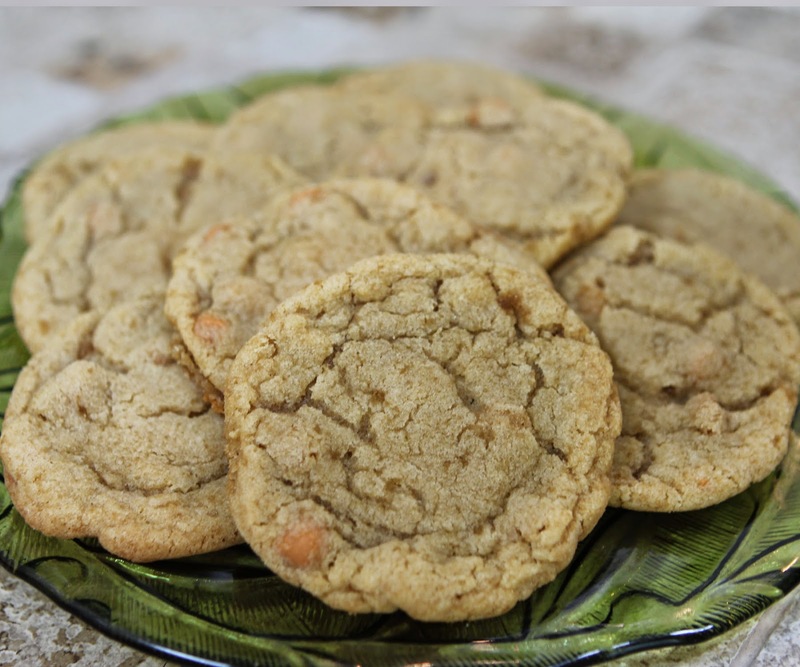 [Make a mix -- in a bag]!! These 'make-a-mix' projects (P205) were a huge hit at Market. 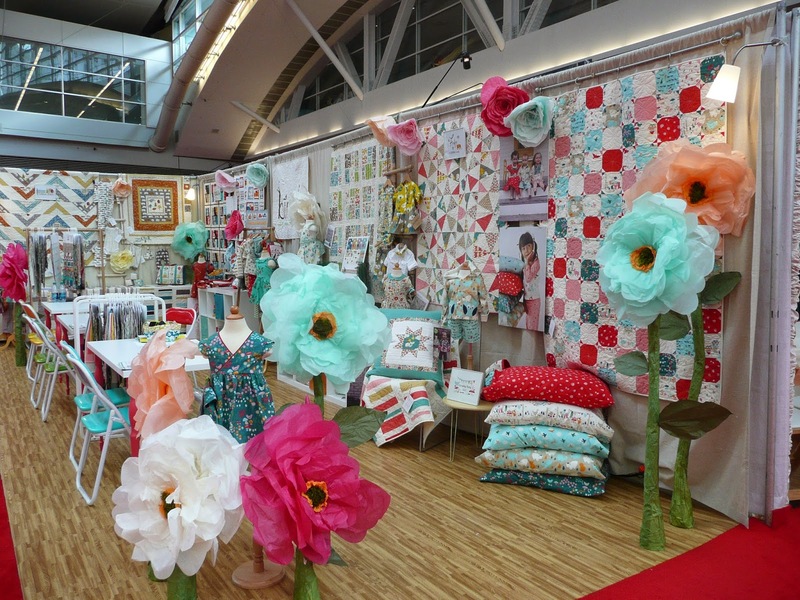 Why not - you are combining fabric, goodies, and gifting all in one project. 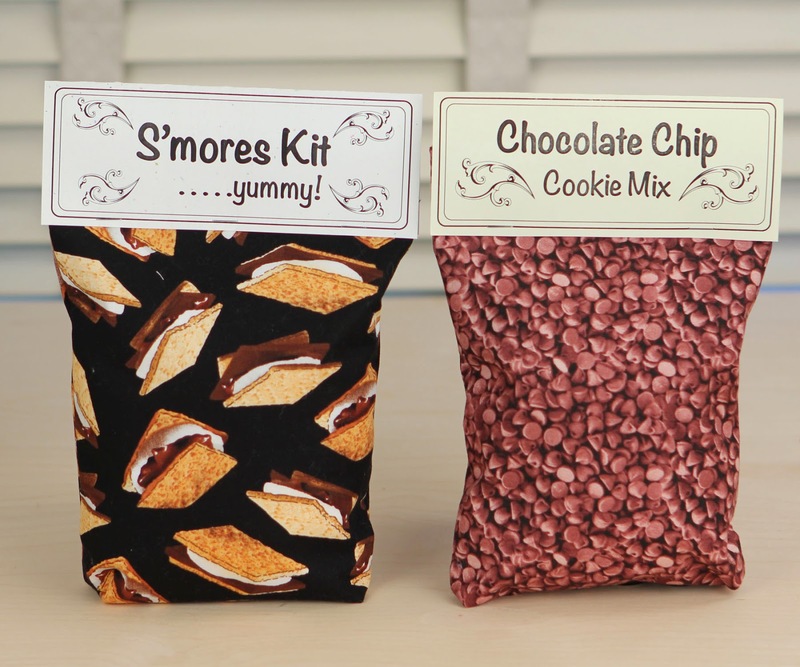 The pattern has three make-a-mixes with bag toppers and/or recipe cards, along with four bag styles. But there is an address inside for five more make-a-mixes (well, one is s'mores). The original three bag toppers/recipe cards are also on the download so you can have a digital version. 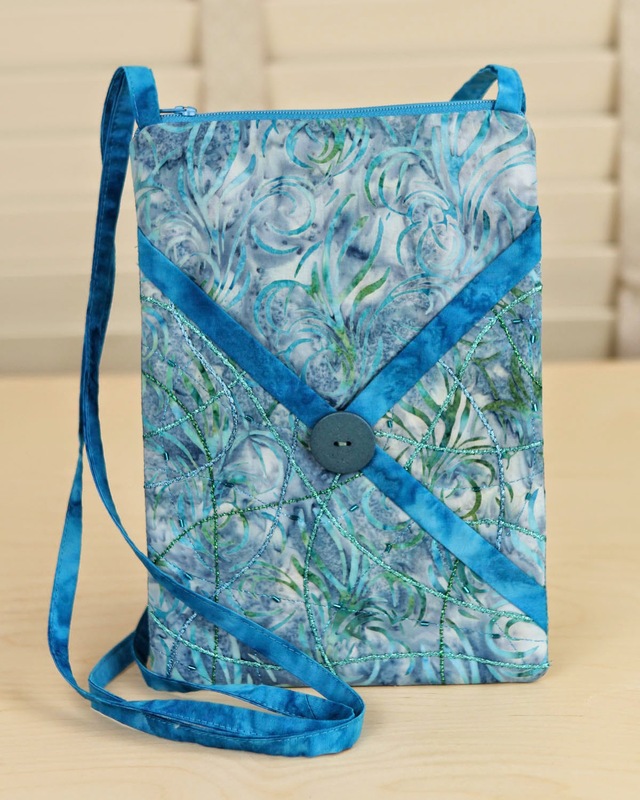 Use fabulous fabrics for specialized gift bags. Awesome!! 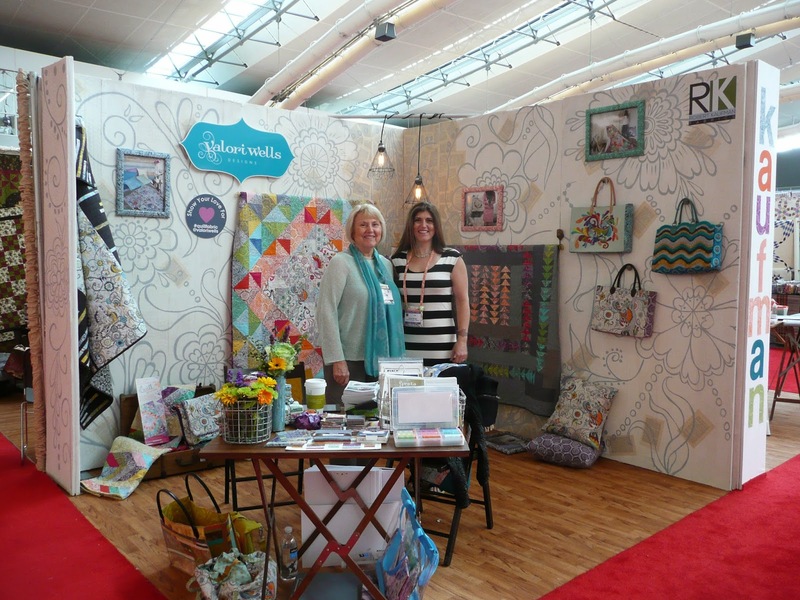 International Quilt Market, Pittsburgh, May 2014! 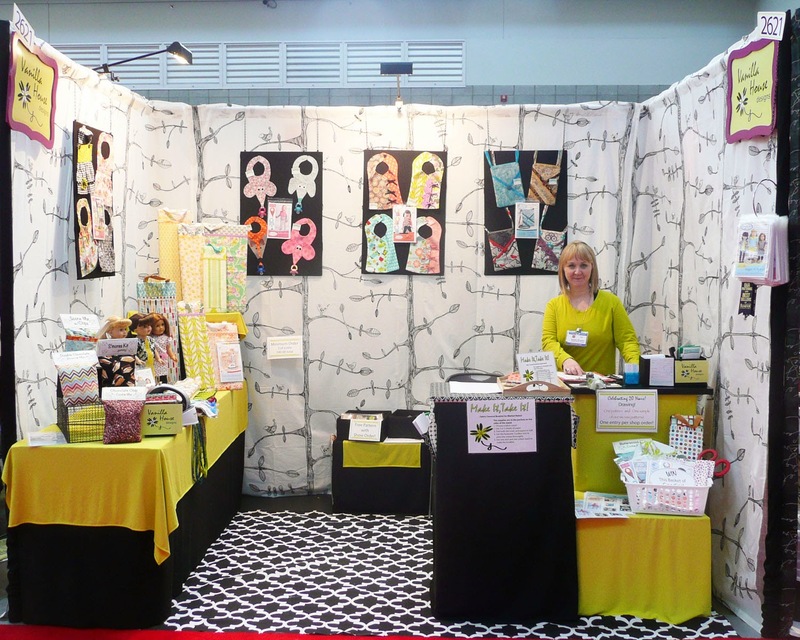 Booth 2621 - last row this time. It was okay but I think I like center of the show. 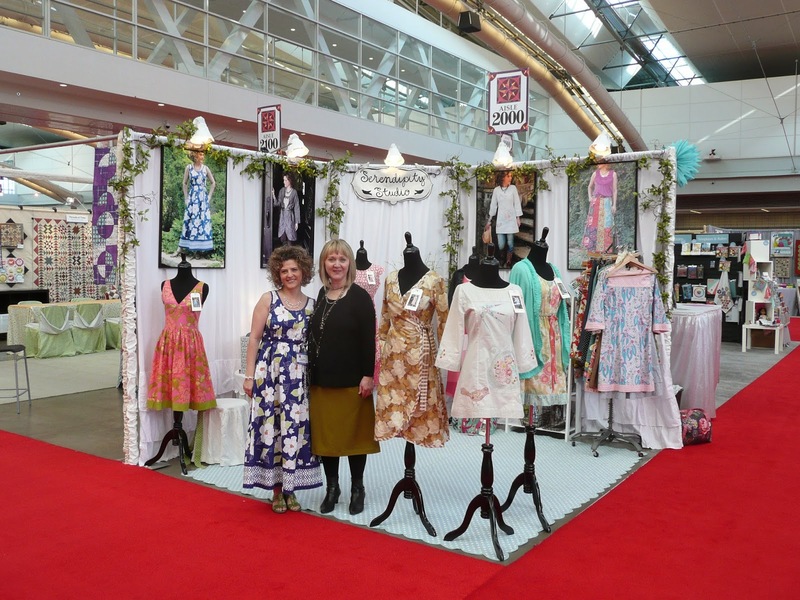 Kay Witt from Serendipity Designs! Just love her! 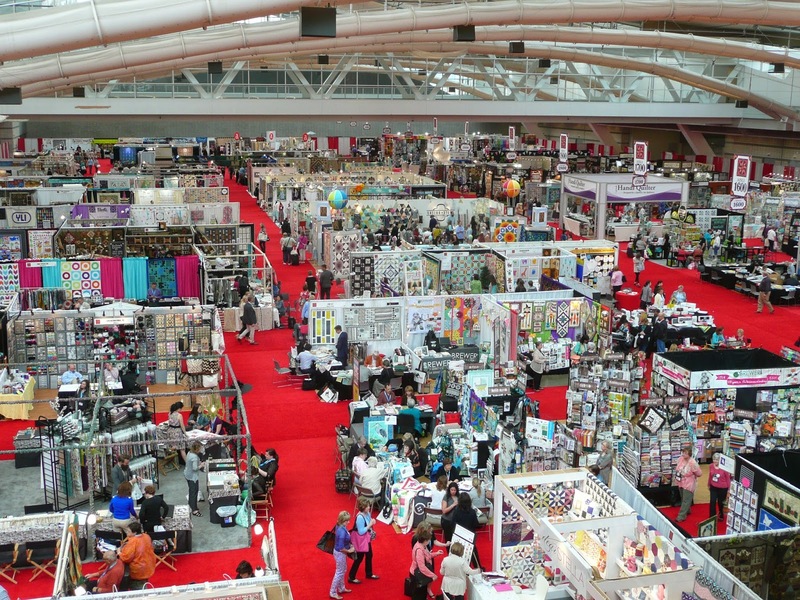 International Quilt Market 2014 in Pittsburgh, view from above! Jean Wells and her daughter, Valori Wells! Not only are they fellow Oregonians, they are two of my favorite people in the industry! Jean is truly an industry hallmark! And I love how she supports Valori! True talent on a family level! We really like the flowers in this booth.